Key features: 150N Inflation chamber providing exceptional turning solutions even when wearing heavy clothing, Robust outer cover, Indicator Window. Side Waist adjuster, Crotch strap, Soft loop D-ring for attaching harness, Automatic (Inflation occurs automatically when the capsule is immersed) with oral tube for additional air top up, Reflective tape to aid visibility, Whistle, Colour: Red. 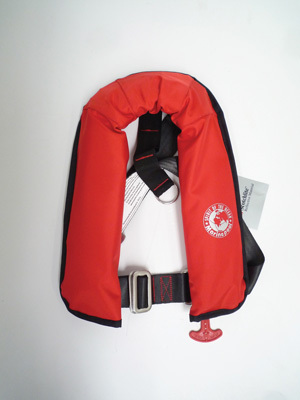 Marinepool lightweight and compact childs lifejacket is suitable for children between 15-40kg in weight. It comes with a 24g CO² cartridge.